Bring half of what you think you need and twice as much money. This pad lays out all of your necessities so you can make sure to pack all of your necessities! 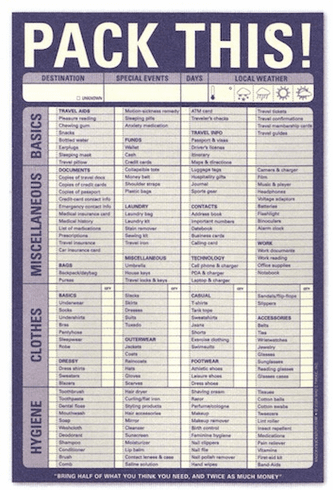 List includes Basics, Miscellaneous, Clothes and Hygiene, as well as your destination, special events, days and weather. 6" x 9"